Aurora roofing is a locally owned and operated roofing company, building a solid reputation for integrity and service since 1990. We are fully licensed, bonded and insured. Our staff is highly qualified and dedicated to building quality roofs. 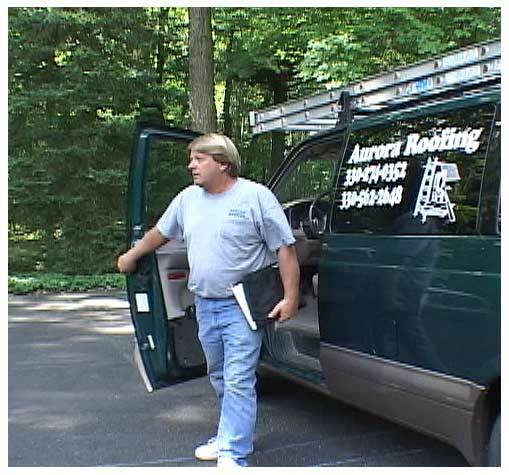 We want to provide each of our clients with a superior roof at a great price. Terry makes it a point to visit each jobsite and discuss any questions or concerns with the client. "Earning your trust and confidence, and treating your property like it is our own, has made us one of the leaders in our industry. It's our goal that you be completely satisfied! After all, your referral is our best compliment." year to make sure your home or business is fully protected from Ohio's diverse weather conditions. Whether it is a tear-off or new construction, Aurora Roofing will handle everything from obtaining permits to keeping your home clean during the roofing project by removing debri.